MD LADOL, Dr. Amy Jadesimi was selected to join the newly formed B Team Africa in January this year. The LADOL MD joined the CEO of Unilever Mr. Paul Polman at a press conference to announce the B Team Africa’s Agenda held at the Africa CEO Forum in Abidjan, Ivory Coast on 26th March 2018. Speaking at the press conference, after Mr. Polman, Dr. Jadesimi discussed her vision for sustainable infrastructure development in West Africa and her goals in working alongside The B Team Africa leadership members (Bob Collymore, CEO of Safaricom, Dr. Ngozi Okonjo Iweala, Chair of GAVI, Dr. Mo Ibrahim, Founder and Chair of the Mo Ibrahim Foundation, Jochen Zeitz, Co-Founder & Executive Chair of The B Team and Former CEO of PUMA, Jesse Moore, CEO and Co-Founder of M-KOPA Solar, Rita Kavashe, Managing Director of Isuzu East Africa and Joshua Oigara, Group CEO & Managing Director of KCB Group) and the B Team Global Leaders to drive positive change in Nigeria and the continent. 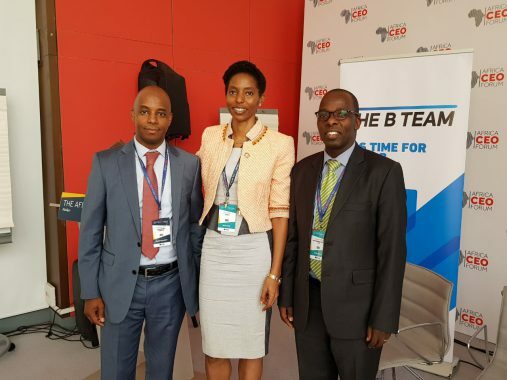 As Dr. Jadesimi said, “I’m honoured and excited to the part of the B Team Africa, working alongside a team of passionate business leaders to support and drive sustainable business models and new opportunities for job creation and investment in Africa. For the world to achieve the 17 Sustainable Development Goals, Africa will have to become an engine of growth and prosperity. Fortunately, as Africans we have the human capital and resources to do this ourselves and working with Jesse, Rita and Joshua on the B Team we can actively help create an environment where real private sector companies, large and small can build new economy businesses generating millions of jobs across the Continent”. The B Team Africa is a Pan-African platform to enable committed business and civil society leaders to work collectively in driving progress and addressing critical issues across the continent. The B Team Africa leaders are united in influencing and convening the private and public sector to drive long-term, inclusive, sustainable economic growth and social development for a prosperous Africa. To achieve these goals, leaders are committed to work together and through current B Team initiatives. 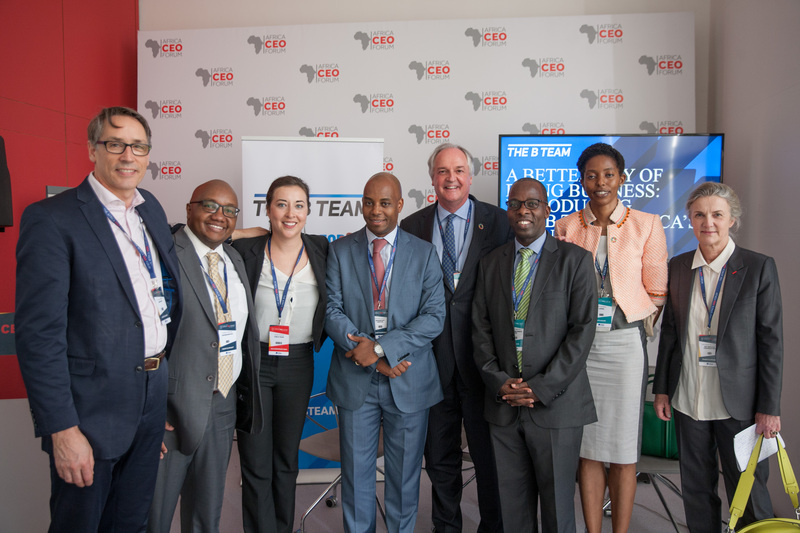 The B Team Africa’s ambitious work agenda includes, but is not limited to, open contracting, supply chain transparency, responsible tax practice, renewable and clean energy, environmental preservation, unlocking capital for value-add, green businesses and social enterprises, job creation, civic rights, gender equality, diversity and inclusion in the workplace. 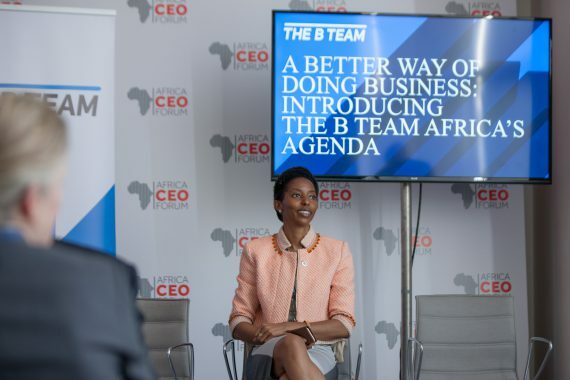 International non-profit organisation The B Team, co-founded by Richard Branson and Jochen Zeitz in 2012, established The B Team Africa in 2017 and continues to recruit Africa-based leaders to accelerate the shift toward a just and sustainable future for the continent and the world. The B Team’s mission and impact to date reflect the tremendous power of the private sector to catalyse new business opportunities and solutions to diverse global challenges. The B Team is a not-for-profit initiative formed by a global group of business leaders to catalyse a better way of doing business for the wellbeing of people and the planet. Founded in the belief that the private sector can, and must, redefine both its responsibilities and its own terms of success, The B Team is developing a new, sustainable model for business centered on concerted, positive action that will ensure business becomes a driving force for social, environmental and economic benefit. View more photos from the Africa CEO Forum and The B Team here.